When it comes to gift giving for the holidays, it's pretty obvious that we'd all like to opt for the very best. We don't go purposely looking for a scratchy set of towels, a chipped tea pot or a cheap, flimsy toy, right? However, money doesn't grow on trees (unfortunately) and it's impossible to simply ignore your budget, no matter how much you'd like to give your family, friends, coworkers, teachers and more a lavish, luxurious present. Where's the happy medium? It can be found in the wide variety, exceptional quality and distinctive styling offered at affordable prices from The Lakeside Collection. Offering the finest selection of merchandise at the lowest prices around, The Lakeside Collection has something for everyone on your holiday shopping list (and more)! From fabulous home furnishings to stylish and comfortable apparel and accessories to fantastic toys for kids of all ages, there is no shortage of great gifts that are sure to wow your lucky recipients. However, at the same time that The Lakeside Collection offers their customers a world of style and value with topnotch customer service and satisfaction, their outstanding prices cannot be ignored. It is no wonder that their tagline The best things in life don't have to cost a fortune fits so perfectly! 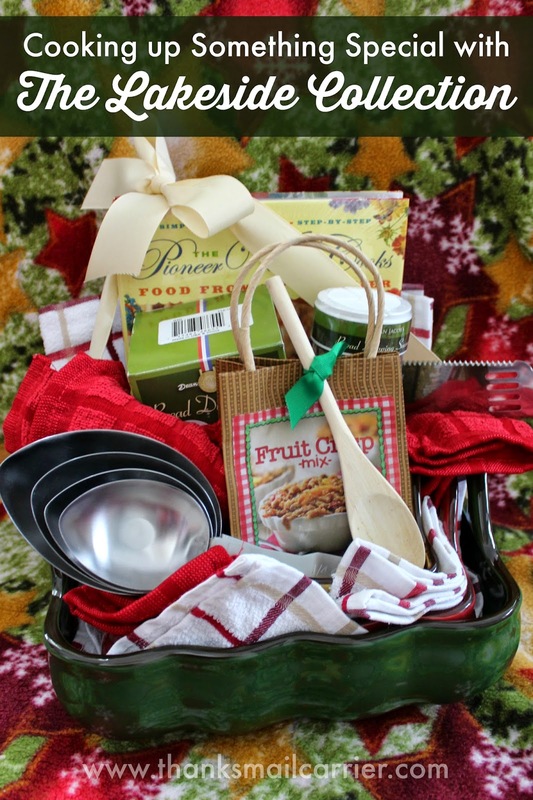 As well as offering great products at low, low prices, The Lakeside Collection makes gifting even easier by showing all sorts of unique ways to turn "regular" items into awesome holiday gift baskets — just look at these cool creative gift basket ideas! Know a couple that adores spending time in the great outdoors? The Lakeside Collection shows you how to put together an amazing gift pack for the Outdoorsy Couple! Or how about adorable presents for the Pet Lover? There are also fashionable items for the Fashionista and much more! I have to admit, as much as I adore the idea of giving someone a gift basket personalized perfectly for them, the idea that I could put items together and have it turn out as spectacular as these was making me feel doubtful. It was time to see if I could take The Lakeside Collection's advice and, by following their instructions, handcraft my own great Cook Up Something Special gift! As I opened the large box from The Lakeside Collection, I was pleased to see each of the individual items safely and securely wrapped to protect them from damage. No one wants to place an order and worry that pieces will arrive broken! After opening and unwrapping each product, I was already impressed with the variety and overall mix that was suggested for this gift basket from the Curious Cook line at The Lakeside Collection. 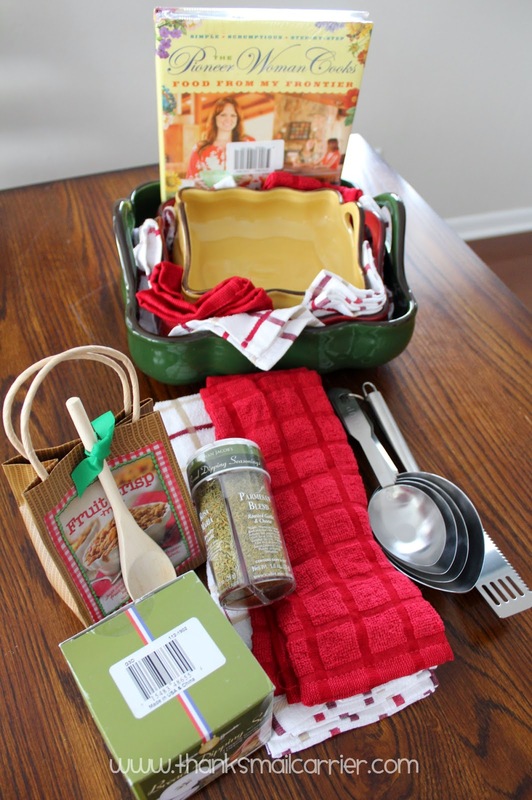 As I laid each item out and began following the directions from The Lakeside Collection to stack them together, I quickly found that creating my own gift basket wasn't nearly as difficult or time consuming as I had thought. ...and the remainder of the products filled in as well. In less than five minutes I stepped back and found that the resulting gift basket was pretty darn great! What chef wouldn't love the style, quality and practical uses (not to mention the yummy tastes!) that would come from this collection? As for the gift-giver, I love the pride that I can feel knowing that I gave someone a handcrafted, long-lasting, extremely creative and fun gift! 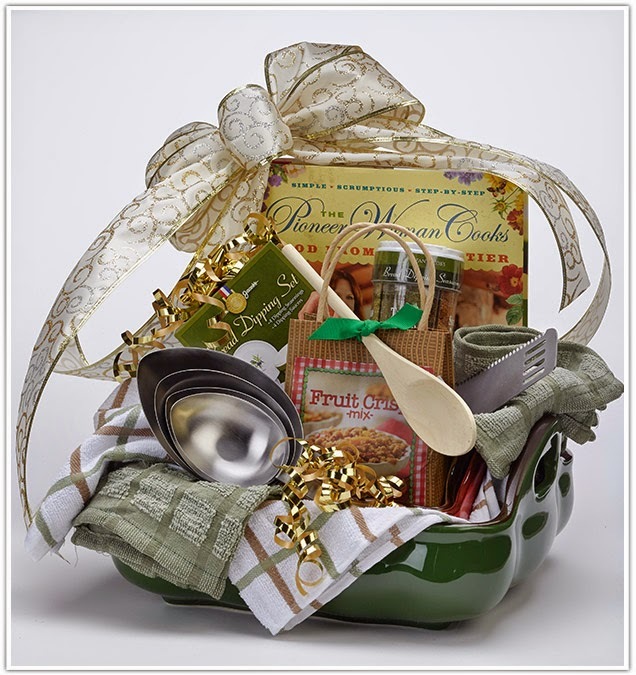 Whereas ordering a premade gift basket similar to this one would cost well into hundreds of dollars, the total cost for all of the items from The Lakeside Collection is just under $75. While this isn't a low-cost gift, it is definitely a value if you are looking for a fantastic option that is sure to wow and, of course, could easily be customized to be more or less expensive if you choose. Be sure to head over to The Lakeside Collection to see the huge number of products that they have to offer at incredibly reasonable prices so that you can start putting together your own custom gift baskets this holiday season (don't forget to check out their collection of gift basket ideas for inspiration). 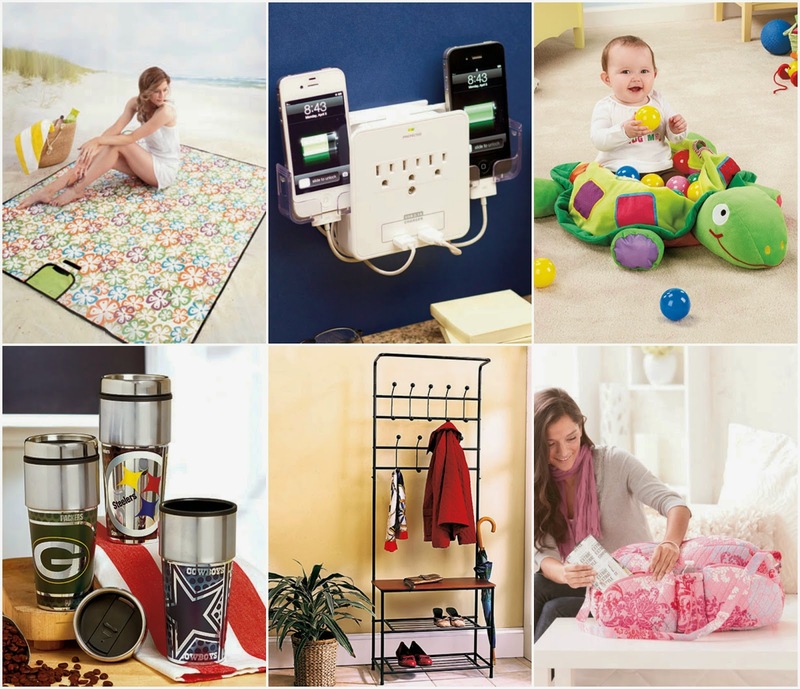 As well as connecting with them at Lakeside.com (they also offer great catalog options), you can find them on Facebook, Twitter and Pinterest. from The Lakeside Collection (total ARV $75)*! 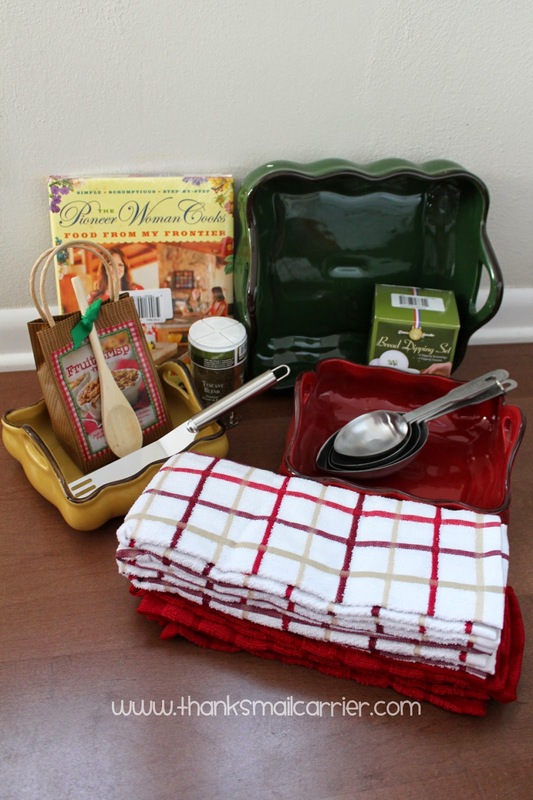 *Items include Set of 3 Handled Bakers, Cut and Serve Spatula, 10-pc Terry Kitchen Towel Set, Fruit Crisp Giftable Breakfast Delights, Bread Dipping Gourmet 4-Compartment Seasoning Jar, The Pioneer Woman Cooks cookbook, Stainless Steel Cup-Size Measuring Spoons and 5-Pc. Bread Dipping Gourmet Kitchen Gift Set. 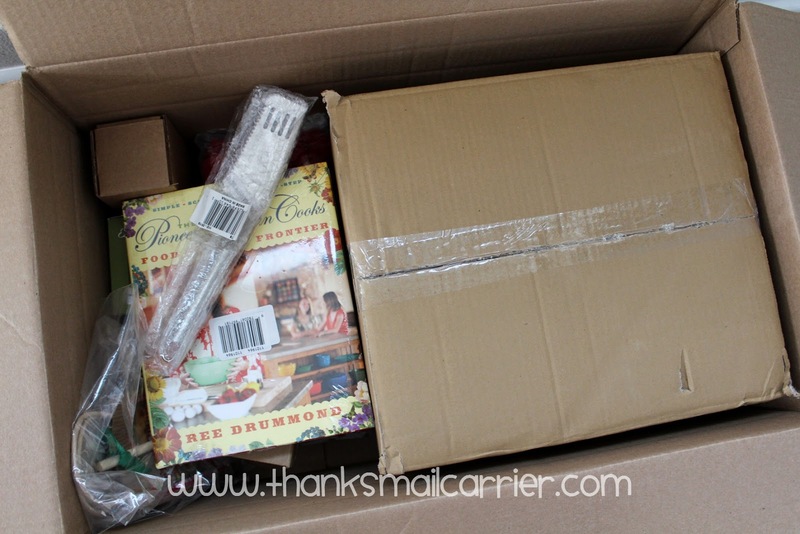 A big thank you to The Lakeside Collection for providing Cooking Up Something Special gift basket items for me to review as well as for one lucky giveaway winner. The opinions shared are my own and honest if you really need to see more, click here to see how I roll.